11 Days Tanzania Migration Safari takes you to Lake Manyara National Park, Ngorongoro Crater, Serengeti National Park. 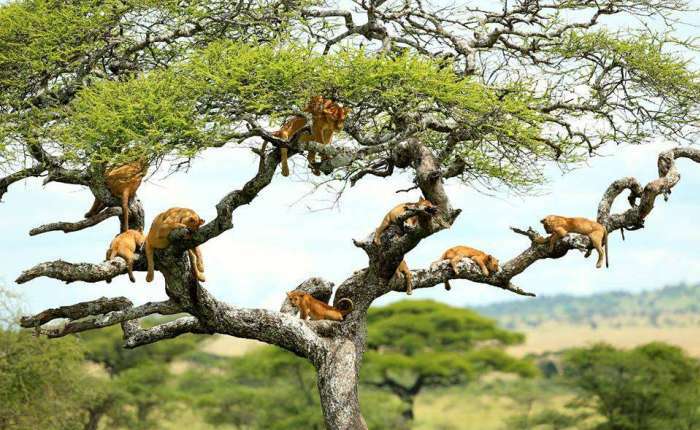 Duration: 10 Nights / 11 Days Tanzania Migration Safari. Destinations: Arusha, Lake Manyara National Park, Ngorongoro Crater, Serengeti National Park. On arrival at Kilimanjaro International Airport, you will be met and welcomed to Tanzania by our tour representative. Transfer to Arusha for overnight and relaxation. Overnight: Mt. Village Serena Lodge. After your delicious breakfast at the lodge, proceed to Manyara National Park to arrive in time for lunch. Afternoon depart for a game drive before returning to your reserved lodge for dinner and overnight. Dinner and Overnight: Lake Manyara Serena Lodge. On this day, after breakfast, drive to visit the Hadzabe Bushman Tribe for cultural experience with packed lunch. In the afternoon return to your lodge at Manyara national Park. After breakfast, enjoy a morning game drive at Lake Manyara National park and after lunch depart for Ngorongoro Crater. Dinner and Overnight: Ngorongoro Serena Lodge. After breakfast, depart for Ngorongoro Crater, Spend the full day exploring the lakes, woodlands, and wide-open plains of the Crater floor. The Ngorongoro Crater offers unsurpassed viewing of rare black rhinoceros, which are undisturbed by vehicles and allow viewing at close range. There are other 25,000 residents’ animals which include lion, hyena, elephant, wildebeest, hippo, buffalo, ostrich and an abundance of pink flamingos on Lake Magadi. Late afternoon Return to your lodge. Day 6: Ngorongoro – Serengeti National Park. After breakfast, check out and drive to Serengeti National Park, which is a vast rolling plain whose sparse vegetation allows for some of the best wildlife game viewing in the world. Throughout the year the Serengeti is outstanding for seeing predators such as lion, cheetah and leopard, along with elephant, hyena, giraffe, hippo, rhino, and other many varieties of antelopes and birds. 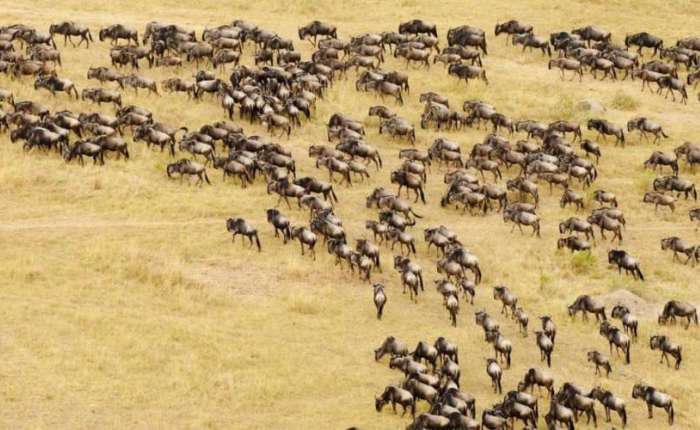 Annual migration of wildebeest and zebra is one of the park’s great attractions. En-route optional visit to Olduvai Gorge (Extra cost), in the afternoon proceed for game viewing until dusk. Overnight: Intimate Places Zebra Mobile Camp. Jan to March: Ndutu Area. Nov & December: Central Serengeti (Seronera). Day 7 & 8: Serengeti National Park. Spend two breathtaking days of game viewing with morning and afternoon game drives at Serengeti National Park. Get the opportunity to see all the big five. After breakfast, check out and drive to your luxury camp with en-route game viewing of the Park to arrive at the camp for late lunch. Enjoy an evening game drive of the reserve followed by Sundowners and dinner at the Bomas at your camp. On this day, have an early morning game walk/nature Walk in the concession area before retirning to the camp for breakfast. After breakfast, game drives at the concession area. Later after lunch, enjoy a visit to Masai village for culture experience. Day 11: Serengeti-Arusha-Kilimanjaro International airport. • All Government taxes and levies. • All game drives on private basis in a 4 x 4 Vehicle. • Transfer as per the itinerary. • Services of professional driver-guides. • Transfer to & from Kilimanjaro airport to Arusha. • Flight – Serengeti / Arusha. • Visit to Hadzabe Bushman. • Sun downers and Bush Dinner. • All items of personal nature: e.g. telephone call bills, fax/email bills etc. 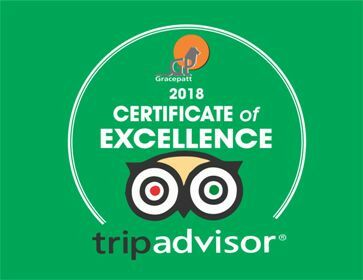 • Tips and gratuities to hotel, lodges, camp staffs and driver/guides. • Any international flight and departure taxes. • Any other item/s not included in our itinerary. • Cost of Optional Extras, provided separately.